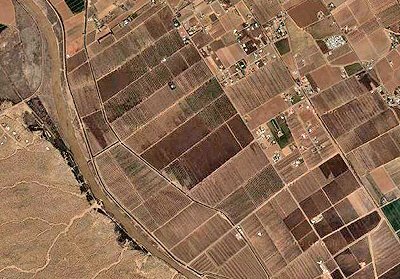 There are 18,000+ acres of pecans in this county (DoÃ±a Ana). 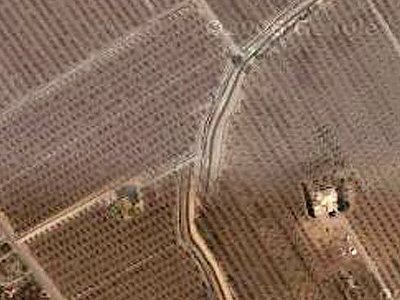 I don’t know, but you can get some idea of the miles and miles of trees from these satellite photos of pecan groves just south of Mesilla. In a mature grove, trees are spaced about 30 feet apart, resulting in about 48 trees per acre. The average yield for a pecan grove is about 600 pounds an acre. This area produces higher than average yields, but most importantly, the quality of pecans grown here is unmatched anywhere else. High quality pecans require cold in the winter and heat in the summer, but not too cold or too hot. The climate here is just right for pecans. Most growers in this area do not use chemical insecticides to control pests — instead, growers use natural predators like ladybugs and lacewing flies.